This is proof of the greatness of The Telescopes. More than anything, this compilation does a fantastic job at making the case that The Telescopes were one of the most underrated bands of the shoegaze era. 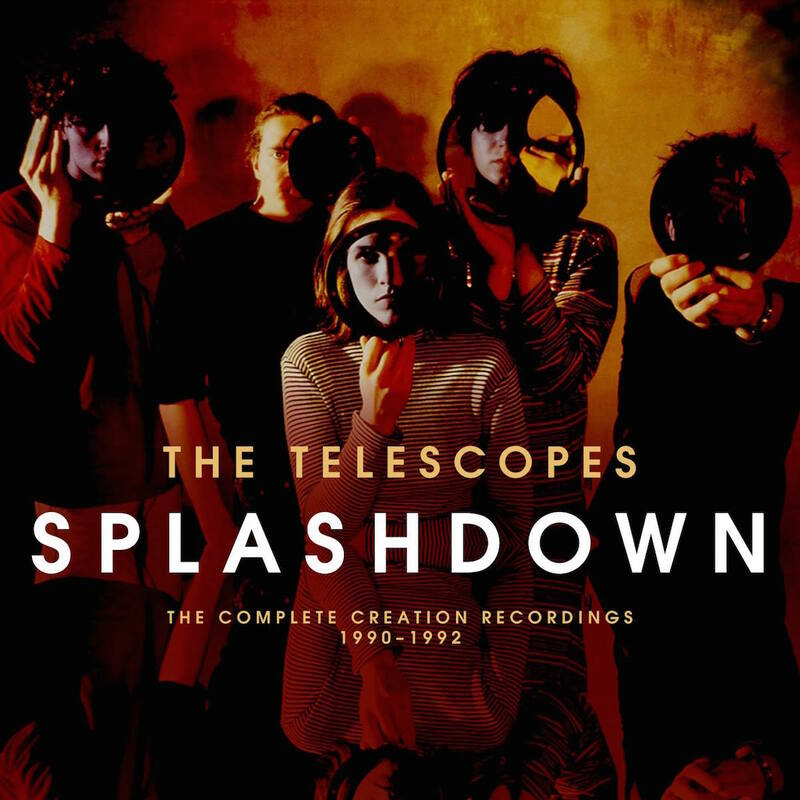 Splashdown: The Complete Creation Recordings 1990-1992 covers the most fertile period of the output of The Telescopes. The 2-CD set, out on Friday via Cherry Red, does one thing marvelously and that is further the argument that the missing link between The Jesus and Mary Chain and My Bloody Valentine was The Telescopes. If those 2 other bands were -- rightly or wrongly -- praised and blamed for redefining what made up the Creation sound, then The Telescopes' stuff -- at least the stuff on this expertly produced comp. -- illustrates how spectacularly good The Telescopes were at bridging genres within the indie world. 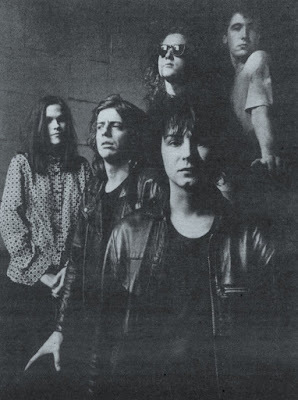 Dive in and you'll see that far more than just another shoegaze band, The Telescopes gave us longing of a sort ("Precious Little"), blissed-out near-dance rave-downs (the epic "Celestial"), and Sixties-style rave-ups ("High on Fire"). One could approach Splashdown: The Complete Creation Recordings 1990-1992 as a document of how the band's music evolved to suit changing tastes in Creation's first golden era -- a point hinted at in the well-written liner notes -- but I choose to look at this compilation as a showcase of how good The Telescopes were at so many things. Frankly, I sort of now need to redo my assessment of the band as a result of the absurdly high quality of the music on these 2 discs. The highlight of this 2-CD set is, of course, 1992's # Untitled Second, originally released on these shores as The Telescopes. The album now seems far better than I remembered, effortlessly blending the druggy malaise of "You Set My Soul" with the sublime and gentle pop of "The Presence of Your Grace" which seems to glide by with a Ride-like sense of -- well, dare I go ahead and say it? -- grace. "Flying" is here in its chiming glory, while "Ocean Drive" serves up a pretty good example of how The Telescopes so successfully bridged the sound of The Jesus and Mary Chain and My Bloody Valentine while offering up a bit more melody than either one did in the era. Album closer "To the Shore" strikes one now as the sort of precursor to the more mainstream stuff that Creation would ride to the top of the charts later (namely "Champagne Supernova"). For a band so abrasive, so fucked up and wrecked, "To the Shore" is damn lovely, isn't it? This half of the comp. is dominated by this raggedly beautiful masterpiece of a record and I feel a fool for not ranking # Untitled Second much higher when I first heard it years ago. Just simply liking it back then seems not enough now since its placement here on Splashdown: The Complete Creation Recordings 1990-1992 reveals it as an epic piece of work in all regards. Disc 2 of Splashdown: The Complete Creation Recordings 1990-1992 also features covers of The Velvet Underground ("Candy Says") and The Who ("The Good's Gone"), along with the propulsive and supple "The Sleepwalk (Sitar Version)", an alternate version of an earlier track. Put side-by-side with anything on the Glider EP by My Bloody Valentine, this cut seems nearly as significant. Rounding out this 2-CD set is a 4-track Peel session from 1991 where the band rip through 4 tracks from the then-upcoming # Untitled Second. For songs that really benefited so much from the band's studio approach in that era, these radio sessions succeed on their own terms, with "To The Shore" unfurling like a Cocteau Twins classic, and "The Presence of Your Grace" reaching peaks not unlike those found on a Rolling Stones jam from 1967 when that band was trying to sound like a high(er) version of The Beatles. And, as if there weren't so many reasons to love this set already, this compilation helpfully labels the releases these tracks are taken from on the back of the packaging. Splashdown: The Complete Creation Recordings 1990-1992 works splendidly but it works on another level when a listener can easily see where the cuts originated and so follow the band's progression. Splashdown: The Complete Creation Recordings 1990-1992 is the sort of release that surprises a formerly casual fan. Going into this, I had a bunch of Telescopes releases in my collection and thought I sort of had the group pegged. Listening to this, in sequence, and considering how the sound of The Telescopes progressed from JAMC wannabes making a racket, to forced shoegazers tipped by McGee to find a hit like "Soon" by MBV, to wholly inventive pioneers (every cut on 1992's # Untitled Second) expanding the very parameters of what UK indie was capable of in the wilderness of those pre-Britpop years, one learns to love The Telescopes all over again. That Stephen Lawrie and co. survived and continue to make music is all the more reason to rejoice. Splashdown: The Complete Creation Recordings 1990-1992 by The Telescopes is out on Friday via Cherry Red Records. 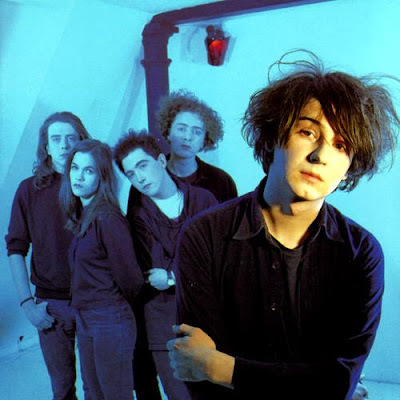 Follow The Telescopes via their official Facebook page.